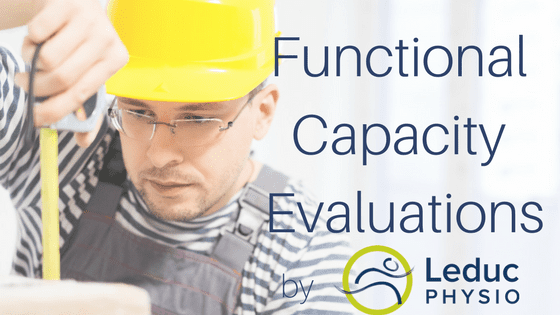 Functional Capacity Evaluations (FCEs) are a detailed assessment of a persons physical and behavioral functioning to determine their ability to meet target job or living demands. This exam looks at a person’s safe abilities to lift, push, pull, twist, bend, climb, stand, walk, etc. and perform other movements similar to work or Activities of Daily Living (ADL) requirements. This is then compared to what they actually do at work or in their life to see if they can return safely. A FCEs primary purpose is to determine individual’s functional abilities and limitations in the context of a safe environment while focusing on productive work tasks. The service we provide is a valuable tool in assessing an employee’s safe working abilities and/or establishing baseline abilities for disability evaluations. Our FCE correlates a client’s functional abilities to the essential physical demands of their job to determine whether they meet these physical demands. Consistency of effort and reliability of pain ratings are important elements of our evaluation, which is why over 70 separate criteria throughout the FCE help determine if a client is putting forth consistent effort and whether their subjective pain ratings are reliable. 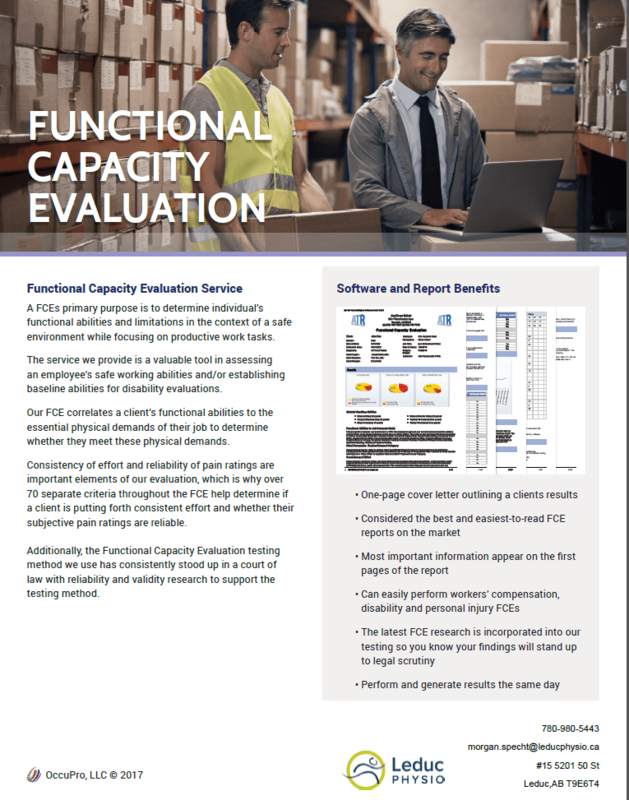 Additionally, the Functional Capacity Evaluation testing method we use has consistently stood up in a court of law with reliability and validity research to support the testing method. We offer competitive rates, and quick report turn around times. For more information or to book a client please contact our office.